Many of you will recall Janet Hulstrand from the interview session we had exactly three years ago. For those of you unfamiliar with it, click here to read the full article. Renee Johnson with Janet Hulstrand in Essoyes. I’m happy to announce that Janet is back, with an intriguing glimpse into the fascinating French culture. 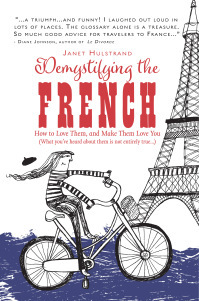 Her new book, Demystifying the French, has received wonderful reviews and is touted as part guide book, and part humorous essay on her own pitfalls and successes while living and working in France. Happily, Janet has agreed to sit down with us again, and has graciously granted another interview. RJ: Janet, how long have you been living part-time in France, and how difficult (if at all) was it to become enmeshed in French culture? JH: I’ve been going to France as often as I can, and staying as long as I can each time for more than 40 years now. Becoming enmeshed in French culture, at least for me, is easy in the sense that it’s so attractive: the difficulty is in realizing how many little rules there are, and managing to remember at least most of them most of the time, so that you’re not constantly making faux pas. It doesn’t come that naturally to Americans, I think. So you’re kind of always translating, both linguistically and culturally. RJ: What and/or who inspired you to write Demystifying the French? JH: It’s a bit hard to answer this question. I was certainly aware that there are already a lot of books out there on this subject. I guess I just wanted to add my own voice to the conversation, and also to create a quick, easy, clear guide that would be helpful for people who have never been to France, as well as for those who have been coming here for a long time, or are even living here, but are still struggling with accepting, or maybe just appreciating, French ways. RJ: Demystifying is also humorous and entertaining. Do you consider it a travel/guide book, or a delightful recounting of your experiences? Or both? JH: Thank you for saying that! I wanted it to be fun to read. I think it is a travel/guide book with a very personal slant. If people can identify with the experiences I’ve had in learning to “get along” in France, and learn from them, I’m happy. And if it makes them laugh too, so much the better. RJ: Can you tell us about the contributors? JH: The contributors are all friends of mine, other American writers who have lived in France for long periods of time. Because the book is so personal, but is also meant to provide practical information that will be universally useful to people visiting France, I thought it would be good to have other voices along with mine, both to lend additional validity to the things I’m pointing out, and to provide a diversity of perspectives and attitudes. I thought it would just be more interesting that way. RJ: What is the main thing you wish you had known at the onset of your traveling adventures to France? JH: The importance of saying Bonjour before you saying ANYTHING ELSE!!! Always!!! And to everyone you encounter! Everyone! RJ: Did you receive your insights through trial and error, or did you make friends there who were beneficial in clearing your path? JH: It’s hard to learn from trial and error in a way, because often when you do something wrong no one tells you. You just have the troubling sense you’ve done something wrong. The way I learned the most, at least initially, was by reading Polly Platt’s French or Foe? That book was enormously helpful not only to me, but to thousands—maybe millions?—of Americans, and other foreigners, in learning to understand French ways, and figuring out how to adapt to them. RJ: What did you edit out or omit; i.e. the secrets…? JH: That is a very clever question, Renee, but I’m not answering it! RJ: (Laughing) Okay, I thought I might slip that one past you. Next time maybe. 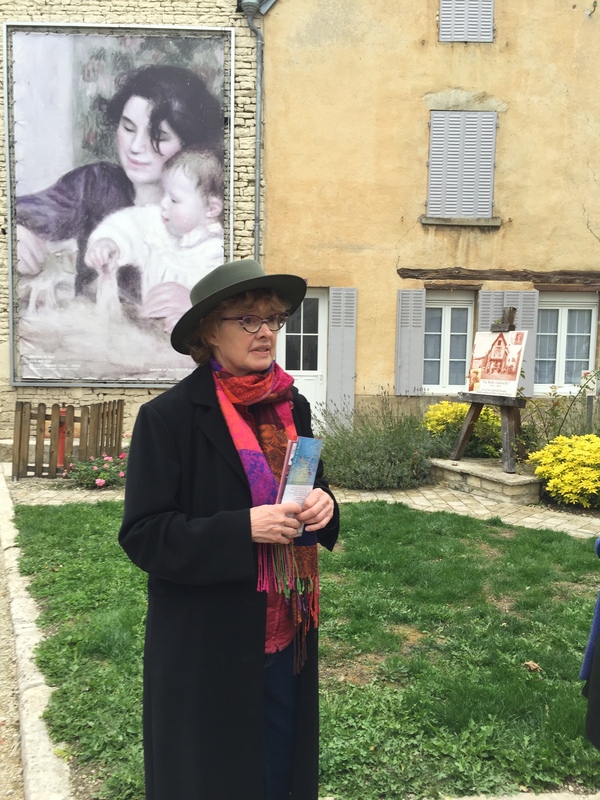 What is your main piece of advice for travelers to France? JH: I think my main piece of advice is to learn a little bit before you go, both the language and the cultural expectations. It doesn’t have to be much! A little bit will take you a long way. The first part of my book is really a primer designed to help people learn the most essential things very quickly. I think reading it could be a very good thing to do before you go there, especially for the first time. That’s a huge part of the reason I wrote the book. Not surprisingly, as an American, I was surprised by this remark. Though I love France and I have spent a great deal of my adult life there, I would never in a million years think of Americans being compared to the French in this way. None of these things are true. In fact, I have tried to protect my French friends from the knowledge that many Americans feel this way, because I think it would hurt their feelings, and would also be simply incomprehensible to them. Many of my readers are also writers. I think they’d like to know a few things about your process, your own struggles with writing time, and other projects on which you’ve worked. RJ: Can you describe your writing practice? JH: Hmm. That is one of those terms that I tend not to use, not because there is anything wrong with it, but just because it doesn’t really apply to my life very well. I don’t have a defined place, or time, or way of writing. I just write all the time, as much as I can. How much I can do so, when and where I can do so, these things often depend on extrinsic and often kind of unpredictable factors. I know that for some writers it’s important to have certain specific conditions, or disciplines, in order to get the work done. For me, I think I’m obsessed enough that my less well-defined practice works. RJ: You co-authored “Moving On: A Practical Guide to Downsizing the Family Home.” How is the publishing process alike and/or different when you have a writing partner? JH: It’s a bit more complicated, because you have to both agree on the final version, and that can be difficult to do sometimes. What my coauthor and I did with our book was to each write the first draft of some of the chapters, and then edit each other’s work. In our case, it went very smoothly, but even so it does take a lot longer that way. We publish a blog about downsizing together now, and we each write our own posts: it’s more efficient, and it also allows each author’s unique style to shine. RJ: Many writers, myself included, have come to you for writing and editing advice, as well as for retreats and inspiration. Who do you reach out to for your reading/writing input? JH: When I lived in Washington DC, I belonged to a group of women writers that met several times a year, and it was always really helpful to get feedback from brief excerpts of our work that we would read aloud to each other. Now that I’m living in a quiet little village in France, the “retreat” part is easy, because much of my life is a kind of retreat for now. When I am ready to show work, I have a few trusted friends who are writers, and I may ask one or more of them to take a look at what I’ve done. I always find it interesting, and it is often inspiring, to read interviews with writers. For example, I love the series of interviews with writers in the Paris Review. RJ: Is there a beloved book from your childhood or teens that you feel was influential in your decision to write? JH: No, not really. I was always a big reader, and there were so many books I loved; but most of them didn’t have anything to do with writing, and I can’t really say that reading them was what made me want to write. I guess the the possible exception is the biography of Julia Ward Howe in the Childhood of Famous American Series. I loved that series, and that book, and I think I kind of wanted to be her. RJ: How do you handle good/bad reviews? JH: Good reviews are easy to handle. Bad reviews are only hard to take when they hit on something you yourself wish you had done differently. Unfortunately, reviewers often criticize books on the basis that they are not the books the reviewers would have liked to read, rather than what the books actually are, or what the author intended them to be. It’s not really a fair standard. I think I will write about this one day, though not right now. RJ: What is your main piece of advice for all those who have a burning desire to write? JH: Just do it. Don’t let anything get in your way. Or, more precisely, when things do get in your way, just bide your time. Keep “writing” in your head. Take notes. And never stop believing in the importance of what you have to say. RJ: Where can readers contact you for further information on your classes, books, or services? JH: I’ve just launched my new website: www.janethulstrand.com That’s the new centralized location to find out about my books, classes, workshops, and writing and editorial services. And I also publish a blog, Writing from the Heart, Reading for the Road. Thanks for asking! 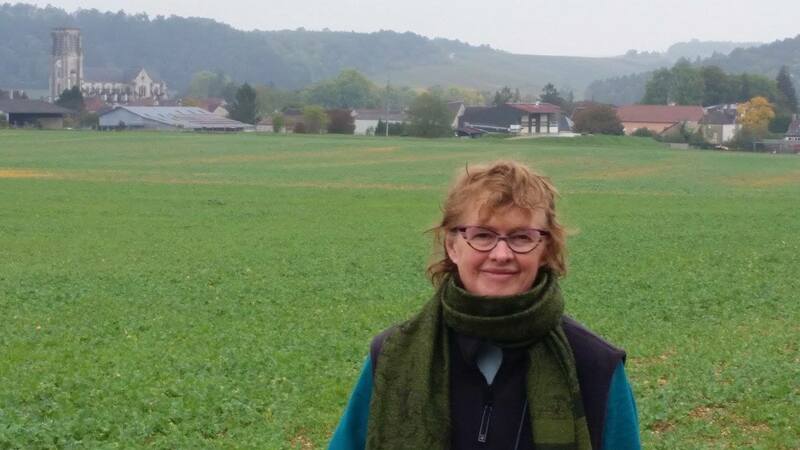 Janet Hulstrand is a writer, editor, writing coach, and teacher who divides her time between France and the United States. 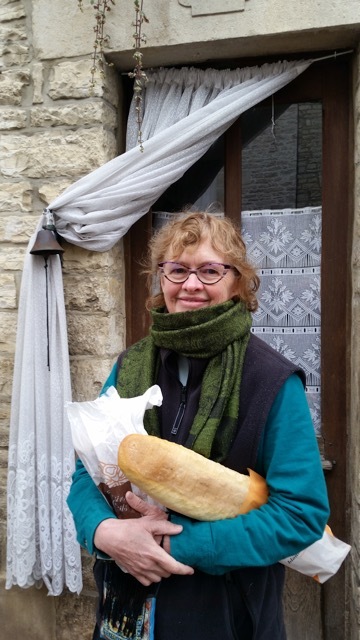 She writes frequently for Bonjour Paris, France Today, France Revisited, and for her blog Writing from the Heart, Reading for the Road. 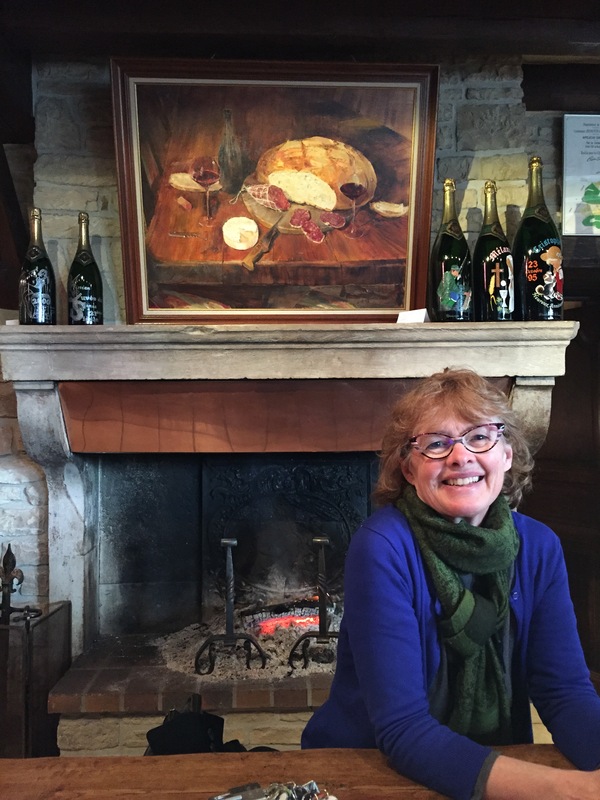 She created and has taught “Paris: A Literary Adventure” in Paris for the City University of New York nearly every summer since 1997, and in 2008 she began offering “Writing from the Heart” workshop/retreats in Essoyes, a village in southern Champagne. In the summer of 2019 she will offer a writing workshop in Paris, in partnership with Politics & Prose bookstore. Her first book, Moving On: A Practical Guide to Downsizing the Family Home, received widespread praise. 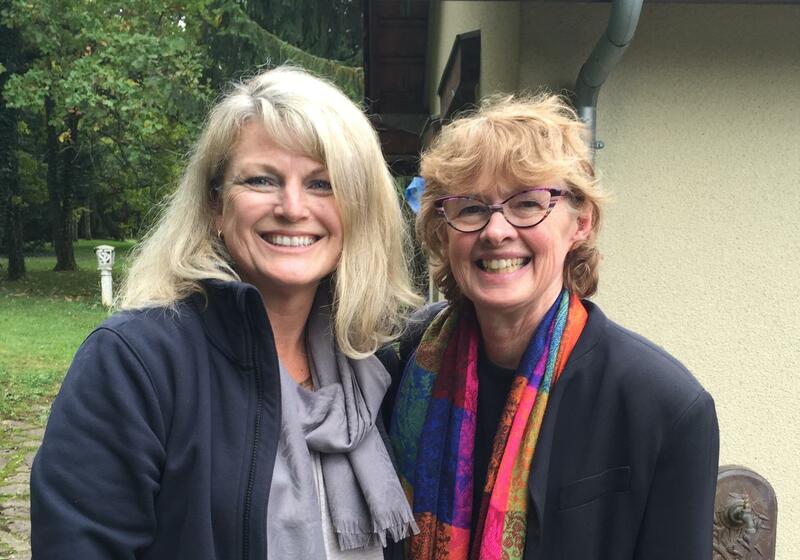 In 2013 she and her coauthor published an updated e-book version of the book, and they also coauthor a blog, Downsizing the Home: Lessons Learned. She is currently working on her next book, a literary memoir, A Long Way from Iowa. Renee Johnson is the author of Behind The Mask, Herald Angels, Acquisition, and The Haunting of William Gray. She is currently working on a romantic-comedy, and a historical novel, while editing a suspense novel which has international flair–an homage to her love of travel and foreign food. She lives on a farm in North Carolina with her husband, Tony Johnson, and two very spoiled German shepherds named Hansel and Gretel. What Makes You Return to a Bookstore? Renee Johnson reading from her novel The Haunting of William Gray.